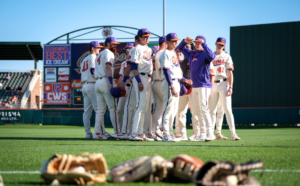 CLEMSON, S.C. – Junior righthander Tim Elliott tossed 7.1 strong innings to lead No. 4 Georgia to a 5-3 victory over No. 13 Clemson at Doug Kingsmore Stadium on Tuesday night. The Bulldogs, who took a 1-0 lead in the home-and-home season series, improved to 24-5, while the Tigers dropped to 22-7. Elliott (4-1) earned the win by surrendering just three hits, two runs and no walks with seven strikeouts. He also did not allow any of the eight leadoff batters he faced to reach base. Aaron Schunk pitched 1.1 innings to record his 10th save of the year. Tiger starter Brooks Crawford (1-2) suffered the loss, as he yielded four hits, four runs (two earned) and two walks with two strikeouts in 3.2 innings pitched. Schunk put the Bulldogs up in the first inning with a two-run homer, then they scored two unearned runs in the fourth inning on Cam Shepherd’s two-out double. 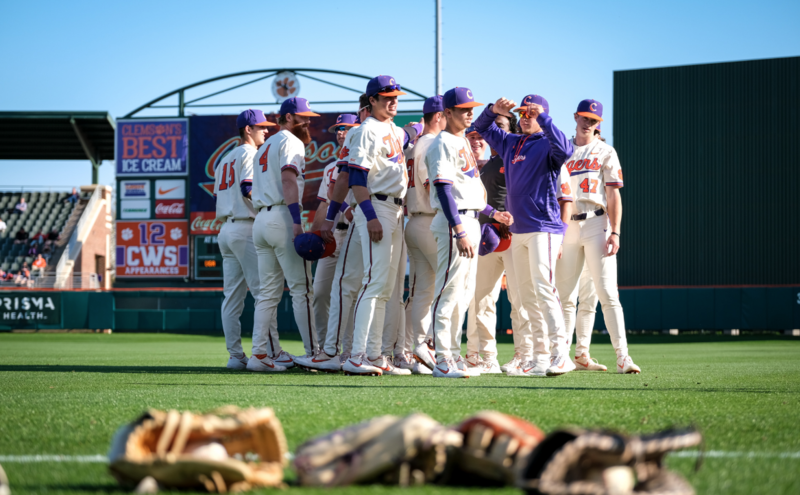 Davis Sharpe hit a solo homer, his third of the season, in the fifth inning to put Clemson on the scoreboard, then Jordan Greene lofted a sacrifice fly in the eighth inning. Schunk added an RBI fielder’s choice in the ninth inning. The Tigers host No. 8 Louisville in a three-game series beginning Friday at 6 p.m. on ACC Network Extra. The first 1,000 fans receive a free set of trading cards.